Clare’s primary medium is encaustic, which consists of beeswax, dammar resin (crystallized tree sap), and pigments. Encaustic painting is an ancient technique derived from the Greek word enkaustikos, meaning to heat or burn in. Heat is used throughout the process, from melting the beeswax to fusing the layers of wax. Occasionally Clare also works in cold wax medium, which is also beeswax and resin, but with the addition of a solvent. Prior to discovering and immersing herself in encaustics, Clare practiced papermaking, fiber art and surface design. “I chose the medium after I saw several pieces in an exhibition a few years ago. There was such a luminosity and a glow that I had never seen before. I was familiar with the use of wax as a resist in textile and fiber art, but this use of it was a revelation to me. Such simple and natural elements: wax from bees and resin from trees, with an ancient history that could be used with modern tools – it was irresistible to me!” The 20th century has seen a significant rebirth of encaustic work. It is an irony of the modern age, with its emphasis on advanced technology, that a technique so ancient, labor-intensive, and unpredictable should regain such popularity. Layers are integral to encaustic work. Each piece is built through layers that contrast in ways that are both subtle and obvious. It relays a history and a transition. When beginning a new piece, Clare begins by writing and mark making, setting the stage for the layers to follow. 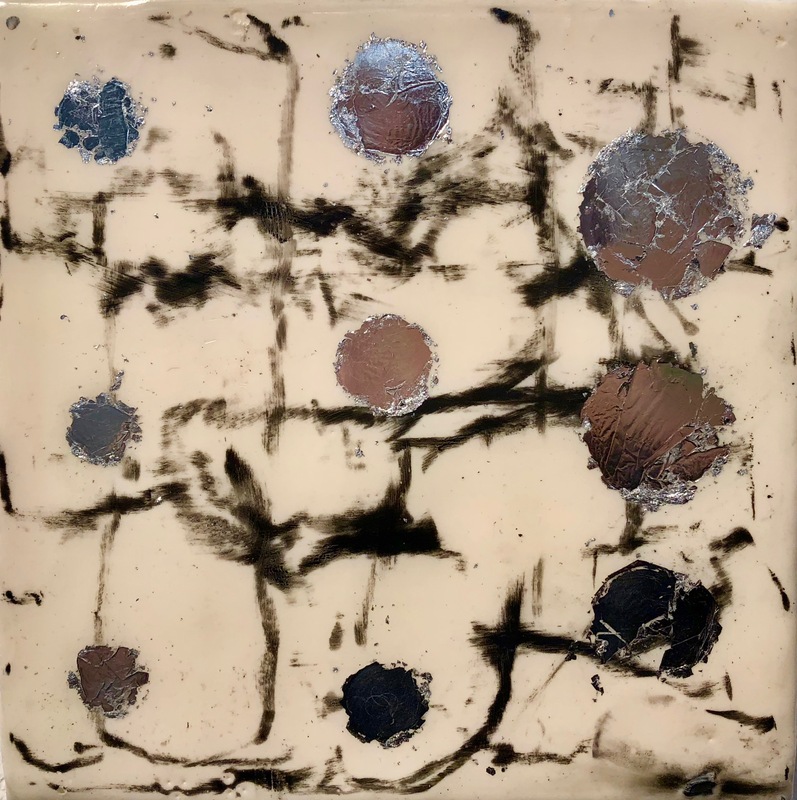 An appealing aspect to the layered nature of encaustic work is that often the artist is the only one who knows the history underneath, and the many iterations that have taken place before the final product. “If someone asks I tell them – but otherwise, it is my secret.” Layering. Concealing. Revealing. Along the way, early elements recede from the surface but are still present, serving as a quiet yet significant foundation for the new elements taking shape above it. Michael Hedges. 6×6 in. Encaustic, graphite, silverleaf on cradled birch panel. 2018. Image courtesy of the artist. Clare hopes her work will momentarily transport the viewer into the work and make them feel something that resonates with them, whether familiar or unfamiliar. “It delights me when viewers tell me about experiencing wonder and curiosity viewing my work. It is gratifying to share my visual thoughts and emotions with others through the work.” Looking toward the future, Clare Jorgensen hopes to be able to build on the use of both encaustic and cold wax medium as an expressive means of storytelling, to work larger, and to explore sculptural forms that advance the richness of the work. 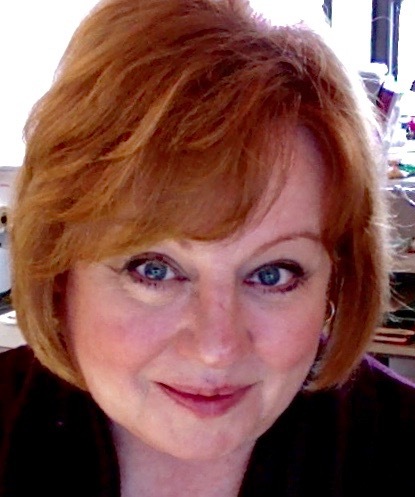 Erika L. Block is a professional writer and designer working exclusively with the art, music, publishing, film and fashion industries. She is also a contemporary mixed media artist. 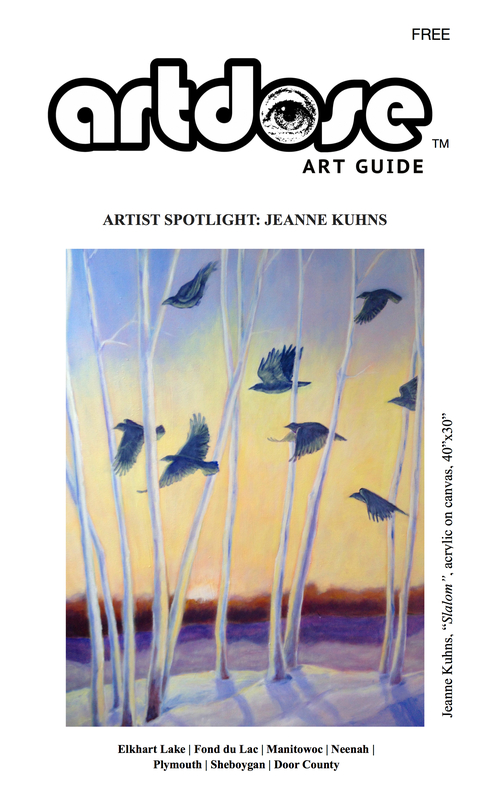 This entry was posted in Announcement, artdose art guide and tagged abstraction, art guide, artdose, Clare Jorgensen, Encaustic, erika block, frank juarez, Milwaukee, Wisconsin Artist on September 25, 2018 by Frank Juarez. Two early members of Lakeshore Artists Guild, Corey and Cindy Hoppenrath are Manitowoc residents, and Wisconsin based photographers, who have enjoyed traveling and the outdoors all of their lives. The last twenty plus years, they have been doing their favorite things together, cameras in hand. Their subjects vary from scenic, wildlife, still life, and most recently, daily life on a small farm. Corey’s work has been seen in Midwest Review for 4 years in a row; as well as part of the “Wild and Scenic Wisconsin” calendar for 2014. Both Cindy and Corey’s work has been exhibited at Silver Lake College. Both Corey and Cindy now work in digital formal. In Corey’s words; “I went kicking and screaming into the digital age. I loved getting the little yellow boxes of slides from the lab – and the excitement AND disappointment of looking at your work for the first time. But we now love the instant feedback that you get from digital. It also gives us the freedom to take creative risks with some of our images. When in the past we might not have tried a shot because of cost of film and developing, now we can take whatever we want and just delete the misses”. Originally, Cindy comes from Stevens Point, while Corey is from Hustisford WI. Whether in the backyard wildflower garden, standing on the shore of a quiet Wisconsin lake, or on a mountain in the open west, they enjoy capturing the beauty before them and relaying the feeling that inspired them to stop and photograph the scene. They find Manitowoc a good place to live while being inspired by it’s natural beauty. 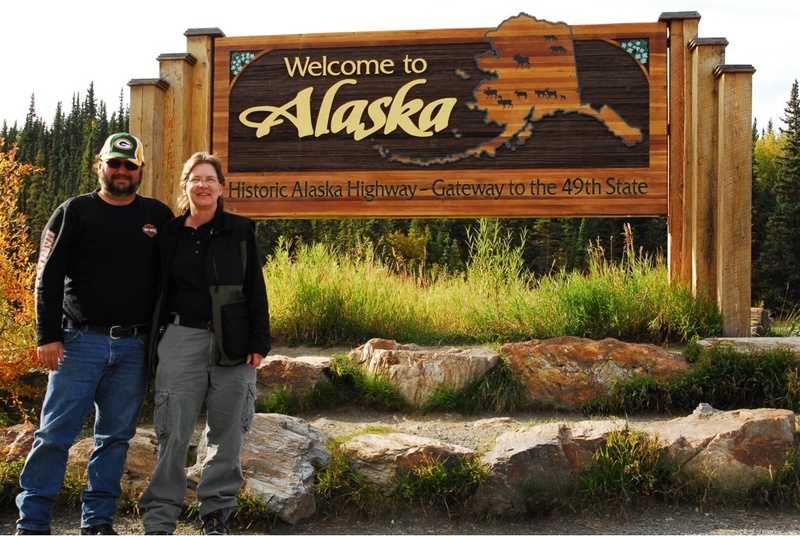 Travel now is their main goal; Cindy loves Grand Teton National Park and Corey’s favorite is Glacier National Park. Both of them are developing a love for Alaska. For the inaugural Art Slam, both Corey and Cindy will be doing photography in the downtown area. This entry was posted in Announcement and tagged art event, art slam, artdose, Lakeshore Artist Guild, manitowoc, photography, wisconsin art on August 19, 2018 by Frank Juarez. Sheboygan Visual Artists is pleased to announce a new painting party series happening in the Art Factory. “Paint Your Pet” with SVA Artist Lori Scherer. Fee: $45 includes a 16×20 canvas, acrylic paints, all materials, supplies, snacks, and a beverage. You may bring your own favorite bottle of wine if you wish. To register please send us your name and phone number and a digital photo of your pet to svaartfactory@gmail.com. Please put “Paint Your Pet” in the subject line. We will crop it, resize it, and apply it to a canvas. Our artists will have the painting areas clearly mapped out for you. The primed 16×20″ canvas is then ready for you to create a one-of-a-kind pet masterpiece. Any pet will work, only one pet per canvas. This entry was posted in workshop and tagged art guide, artdose, frank juarez, painting, sheboygan, sheboygan visual artists, workshop on January 10, 2016 by Frank Juarez. Photos by Dale Van Minsel. Born in Wisconsin. Currently live and work in Southeastern Wisconsin. Dale has worked with the art and craft of photography since 1978 having served as event and public relations photographer for two local colleges over the course of my professional career. His personal work mostly involves creating unique images using the iPhone and photo apps. I’ve always enjoyed creating “altered landscapes” using whatever medium was available at the time but iPhoneography and photo apps really allow him to create unique images without cost or equipment limitations. He has participated in exhibitions throughout East-Central Wisconsin as well as participated in group exhibits in New York City and Ferrara and Verona Italy. He is an artist member of Sheboygan Visual Artists and a professional level member of Wisconsin Visual Artists. This entry was posted in Uncategorized and tagged art gallery, artdose, frank juarez, photography, reception, sara risley, uw sheboygan on August 2, 2014 by Frank Juarez. Artdose can be found in any of the listed locations below. This entry was posted in Uncategorized and tagged art guide, artdose, door county, elkhart lake, fond du lac, frank juarez, gallery, manitowoc, neenah, plymouth, sheboygan on July 9, 2014 by Frank Juarez. Sage Vaughn has exhibited in London, Switzerland, Germany and Los Angeles, where he calls home. His father was also a painter and used to take Vaughn to L.A. Zoo, where the pair would sit and sketch animals all day. In his most recent paintings, Wildlives, Vaughn paints children playing against the same faded, urban scenes against which he places wildlife, drawing comparisons between the liberty and survival skills of each. He has had widely acclaimed solo shows in New York, Geneva, and London. Vaughn also has connections to major rock bands. He has a major exhibition curated by the Beastie Boys’ Mike D at the Museum of Contemporary Art in L.A. This entry was posted in Uncategorized and tagged art guide, artdose, beastie boys, fond du lac, red hot chili peppers, sage vaughn, thelma sadoff center for the arts, wisconsin on June 13, 2014 by Frank Juarez. This entry was posted in Uncategorized and tagged artdose, dale van minsel, fond du lac, frank juarez gallery, local arts, photography, thelma, wisconsin on May 10, 2014 by Frank Juarez.